Avier Construction is a company that specializes in interior remodeling. Vincent has been doing General Contracting for 15 years and is passionate about completing projects that can transform your current home into your dream home. Found in 1975, M S International offers over 5,000 surface options including natural stone, quartz, porcelain, ceramic, glass, and hardscapes. 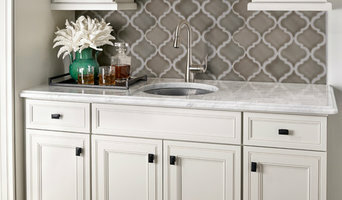 Platinum Tile and Stone Inc. 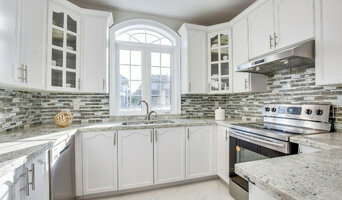 Ceramic Decor installs ceramic tile for the New Home Industry and also sells ceramic tile and stone in our showroom in Guelph (the largest in the Southwestern area). We have been in business for over 30 years. Founded in 1992 by Sylvia Benchimol and Carl Hesse, Stone Tile is one of the leading international distributors of natural stone, tile and wood products. 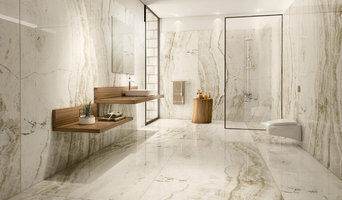 With over 160 employees, and offices and showrooms in Toronto, Vancouver, Calgary, and Montreal, the Stone Tile team have established an international reputation for providing cutting-edge, design-forward material solutions to the A&D community as well as residential customers. 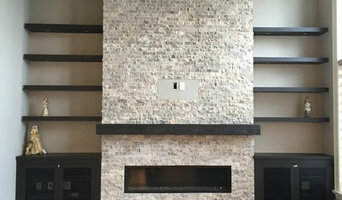 Stone Tile’s mission is to push the limits of the surfaces industry by bringing our customers inspiration, quality, unique solutions and unparalleled customer service. At Urban Revival Construction, our main focus is the client’s satisfaction. With 12 years of experience in Residential construction, our team will help create your dream projects. We strive for excellence and stand by our work. Always learning and forever exploring new ideas and designs, which puts Urban Revival Construction at the head of its class. Whether doing a small bathroom remodel or a full home renovation, these ventures will always take a lot of planning and can be time consuming. Renovations don’t need to be stressful! This is when our knowledge and efficiency is key. We have professionals that will lead you along, helping to; - Plan a Timeline - Create and Maintain Budgets - Design and Organize Finally, our trades will execute and refine the work at hand, to build and bring your vision to life. Turex Tile & Marble Inc.
For over 37 years, Tilemaster has become known as an innovative tile company that offers quality products and excellent customer service. Three spacious and welcoming retail showrooms in Aurora, Barrie and Kitchener, Ontario, display an impressive selection of tiles from around the world in ceramic, porcelain, glass and stone. Our lasting relationships in the industry enable us to enjoy access to many exclusive products and the latest collections which we are proud to bring to our customers. In addition to millions of square feet of European tiles, Tilemaster also warehouses the very best tiles from other continents and stocks high performance setting materials, tile and stone care products, tools and other accessory items. As a direct importer, we are able to satisfy the needs and budgets of all clients including home owners, contractors, builders, designers and architects. We welcome you to visit our showrooms. Our friendly and knowledgeable staff will strive to ensure that your residential or commercial project is a success. 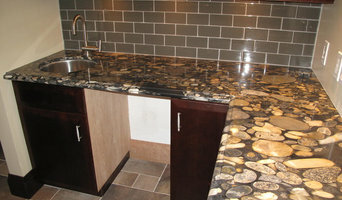 Quartz City is a stone fabrication company serving York region for over 10 years. From new custom countertops and cabinets to complete kitchen and bathroom renovations, we're here to help design and build a functional space for you and your family. We look forward to working with you!